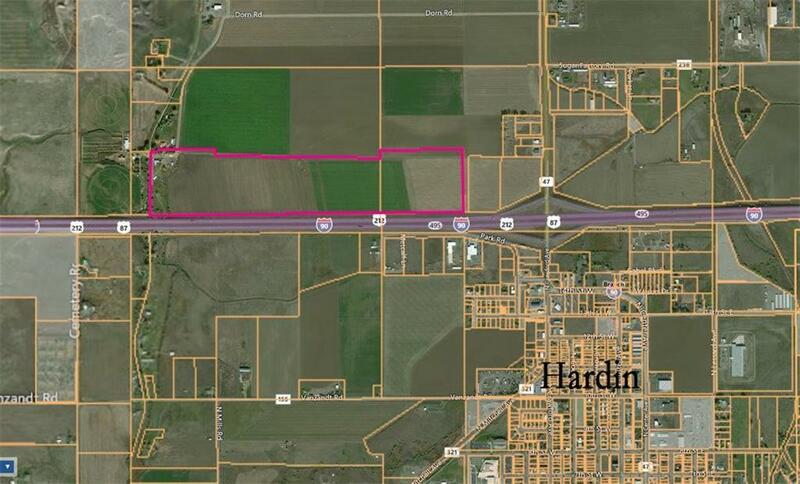 110 acres right along I-90 just west of Hardin. Just off the I-90 interchange. Contract for Deed terms available! Currently being farmed. 7 outbuildings, 36x48 shop, 38x100 barn/shop, old house, etc. Great development parcel w/ city services adjacent to the NE corner. Owner retains 1/2 of any mineral rights currently held. Ask agent for details.